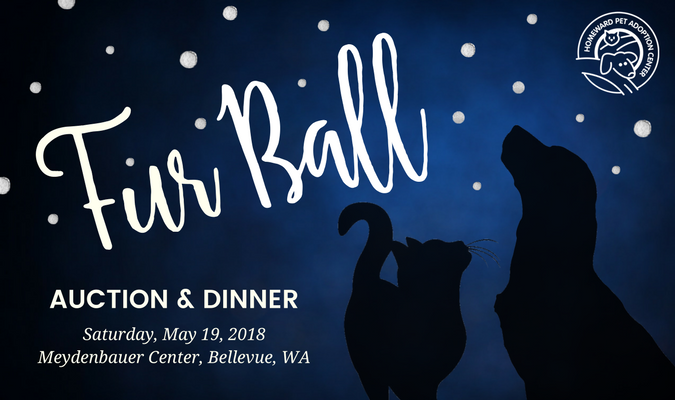 The 2017 Fur Ball Auction & Dinner was a record-breaking event, raising more than $450,000 to benefit the cats and dogs of Homeward Pet. These generous funds will provide close to 2,000 animals this year with extraordinary care including; vaccinations, spay and neuter surgeries, microchips, additional medical care, food, shelter, love and more. Thank you for showing unwavering commitment to the animals. The funds you helped raise are already creating better and brighter futures for homeless cats and dogs. Join us in 2018 to help make an even larger difference in the lives of our homeless pets!